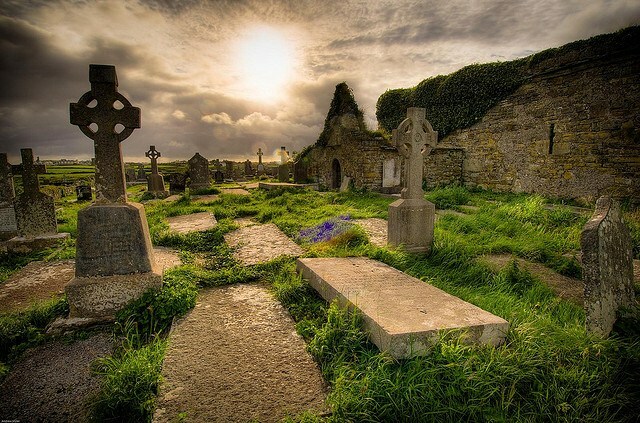 Irish Papist: About my Poem "In Praise of Solemnity"
About my Poem "In Praise of Solemnity"
I am very pleased and grateful that there were some kind comments on my poem, 'In Praise of Solemnity', which is the post immediately proceeding this one. I am always grateful that some of my readers like my poetry, but I was especially so in this case, since it expresses an idea that is very important to me, and one that I have tried (and failed) to express before. I had initially planned to write it as a (prose) essay, but decided that verse was the best vehicle for it. Now I am going to try to have the best of both worlds, by giving a prose commentary. I've always believed that poetry should speak for itself-- at least, to the extent that one shouldn't need a reference book or a forest of footnotes to understand what the poet is talking about. I've always believed, as well, that the onus is on the poet (and, indeed, every sort of writer) to explain what he means, and not on the reader to understand. All this is something of an aside-- a defence of commentary in general, rather than a defence of me writing a commentary on my own poem. I want to write a commentary on it because I feel some things need to be explained in more detail. Also, because you can't really write poetry without indulging in overstatement-- when Oscar Wilde wrote, "Each man kills the thing he loves", he was obviously exaggerating for effect. (Peter Hitchens, who thinks Oscar Wilde is overrated, complained about this very line, on the grounds of its not being true.) And finally, I want to expand on my thoughts in the poem because its subject matter is so interesting to me that I'm eager to write about it-- again! In a way, though my poem was in praise of 'solemnity', it was actually conflating a few different things, each of which might be termed solemnity. One is the recognition that life is a serious business. Another is the pleasure of solemnity itself-- for solemnity is a distinct atmosphere of its own, which has its own rewards, just as levity or hilarity or romance or adventure have their own validity. Nobody complains about those other atmospheres forming a part of a full human life, but our culture seems entirely hostile to solemnity per se. The only other emotion which has been stigmatised (almost) to the same extent is sentimentality, which is closely allied to solemnity. Finally, my 'essay in verse' also included under the term 'solemnity' a sense of what is fitting to our dignity as human beings. Call it vulgarity, bombast if you will....Solemnity of various kinds (especially solemnity in the arts) is often dismissed as 'vulgarity' today. It's also called: kitsch, corniness, camp, tackiness, inauthenticity, priggishness, pomposity and sentimentality. Of course, solemnity might run all these risks. A patriotic poem might veer into jingoism (there's one term of disparagement I left out). But everything in life has its attendant dangers. Surely it's excessive to avoid one whole side of our humanity out of a fear of overdoing it, or of looking silly-- which I believe is the more operative fear. The cinema called the Odeon or the Lux: Cinema names traditionally have a grandiosity which I find very admirable. The Adelphi, the Odeon, the Tivoli, the Savoy....I've seen this practice disparaged, since classical-sounding names were often used with little regard for what they meant. But so what? The atmosphere they seek to evoke is an admirable one. Actually, cinemas are still pretty solemn places, with their heavy curtains and plush upholstery, their rich colours and decoration, their sense of ceremony. You could say that cinemas are islands of solemnity in our anti-solemn society! When I first read those lines, I was a teenager who was hopelessly lost and bewildered. They actually made me weep. Implicit in them is the idea that great books should be guides to life. Increasingly, however, the very concepts of wisdom, of edification, and of having a message have become almost disreputable-- at least in some fields of life, such as literature and highbrow publishing. The monument that is not too proud for pride: Straightforward statues of a great man or woman standing on a pedestal seem to have become 'vulgar' too. The public house sign that blazons "licensed to sell beers or wine": Conscious archaism, something also seen as vulgar. The Monarch of the Glen: Edmund Landseer's great painting of a Highlands stag is often dismissed as 'chocolate box' sentimentality. But what's wrong with chocolate boxes? 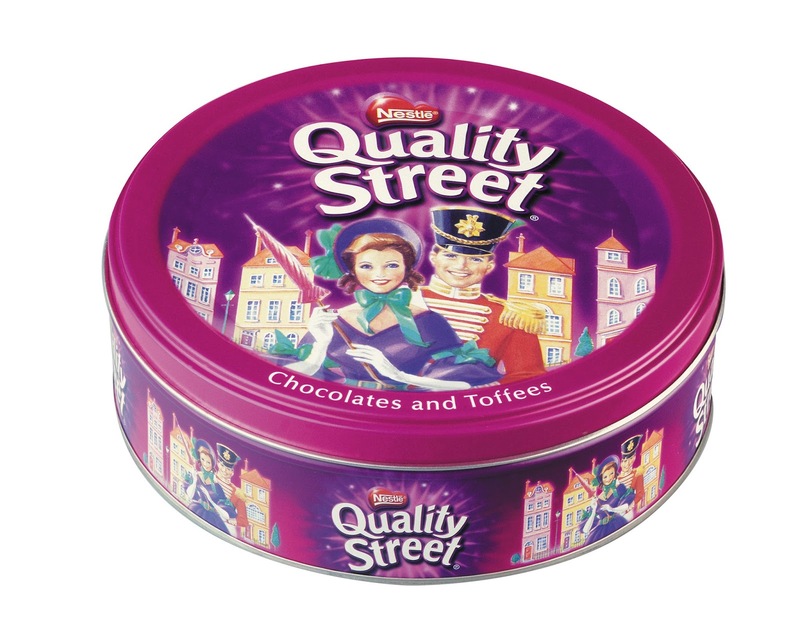 Indeed, chocolate and sweet boxes are one of the last bastions of solemnity. In truth, Landseer's painting is disparaged for being A) popular, B) unabashedly romantic, and C) naturalistic. The silhouette of ladies and top-hatted gentlemen: Silhouettes (on shop signs, advertisements, etc.) of ladies in bonnets and men in top-hats-- or in similarly archaic and classy apparel-- have always been one of my favourite things. I like silhouettes in general. I've never actually heard them dismissed as vulgar, but I'm sure they would be. Put it this way, I would never expect to see them on the shop-sign of some trendy, upmarket photography studio or gents' outfitters. They tend to be the resort of the cheaper, less fashionable, suburban business. All of these conventions fall into that category; a working man's idea of elegance. I have seen so much of death, these past two years: True. There have been so many losses in my life in the last two years, and more-- both personal bereavements, and the deaths of people I never knew personally, but whose funerals I attended out of respect for a friend. For every loss, there is the sense of outrageous inadequacy in any ceremony, any memorial; the sense of something incalculable gone from the world. And, of course, there is the heightened awareness of the indescribable preciousness of life, every second that it lasts. Not only a sense of its preciousness, but its dignity. I cannot get my tongue round the verb to be as easy as that: At the very least, the strangeness of reality-- the infinitely mysterious fact that anything exists at all-- surely deserves to be respected. Isn't there a kind of blasphemy in being blasé about this, even if you are not a religious believer? But let there be games, and laughter: If you celebrate solemnity, the danger is always that people think you are anti-fun, or anti-laughter, or anti-enjoyment. I'm none of those things. I laugh quite a lot; twice a day, at least. Constant laughter kills laughter, anyway. "If nothing was serious, nothing woud be funny." As well as that, you can't have every atmosphere at once. It's just not possible. I don't understand why it's even desirable. Isn't variety the spice of life? And the man who walked into a bar is considered passé: About ten years ago, I came across an article in The New Stateman-- a left-wing English magazine-- defending the joke from its detractors. The article said that joking had become unfashionable-- seen as an aggressive, stereotyped, conservative, predictable form of humour. Alternative comedy had turned against jokes, punchlines, stereotypes, and so on, and embraced a kind of humour that was looser, more improvisational and absurd and surreal. The article made a lot of sense to me; I recognised the phenomenon it was describing. But it does not seem to be a widely remarked-upon phenomenon. In writing my poem, I found myself researching this phenomenon and I couldn't find any acknowledgment of it on the internet-- at all! The thing is, I think it's a very definite phenomenon, and has jumped from alternative comedy to everyday life. 'Hip' humour is random, quirky, formless-- while joke-telling involves a certain ceremony and archness which is seen as too formal, too stuffy. I never hear anyone tell jokes anymore. There seems to be an unspoken assumption that only bores tell jokes. The thing is, I love jokes, and I wish there were more joke-telling sessions. I like the formality of jokes. I like the poetry of jokes-- a joke is a bubble world, ephemeral and timeless at once. When I was a teenager, I painted a picture of Paddy Englishman, Paddy Irishman and Paddy Scotsman. I don't know how much of this is down to Monty Python's Flying Circus, a show I adored as a twelve-year-old but now find utterly unfunny. Maybe Monty Python just anticipated the zeitgest. One character in Monty Python is a general who keeps interrupting the sketches because of 'silliness'. I identify with him. In a era when randomness stands for all humour, all art, all beauty, all meaning: It is the central dogma of our age that there are no objective vaues. Life might be said to have meaning, but only the meaning you give it. Beauty is in the eye of the beholder. Ugliness is just a different sort of beauty. Indeed, the more random and bizarre something is, the more admirable it is to see beauty or meaning or nobility in it. We have gameshow on gameshow, and hip-hop, and memes: I am well aware that this section makes me sound like an insufferable prig. Well, the world needs more priggishness, I think. Many (even most) of the things I list are not intrinsically bad. But you can't qualify poetry all the time, or you lose all the force of the rhetoric. For instance, I'm not entirely anti-gameshow. I was a fan of the rather quaint British gameshow Countdown for several years. Who Wants to be a Millionaire? was one of my mother's last pleasures. (She called it How to be a Millionaire.) But game-shows very often seem to descend the depths of garishness, silliness and bad taste. There is an Irish gameshow called Winning Streak which is hugely popular-- there is no skill or knowledge involved at all, it's a game of pure chance for big money all the way. On the other hand, there are the spoof game shows and comedy game shows which, to my mind, seem even worse. As for memes-- every time I complain about memes on Facebook my Facebook friends find it amusing to post them on my wall in great amounts. I get the joke, and some memes are funny, but it seems so anti-creative to me. We have advertising campaigns about doughnuts and dogfood and toothpaste and hard-to-shift stains: I'm not really anti-advertising, either. I doubt our society could function without it, for a start. It provides creative employment for a lot of people. And there's no reason advertisements can't be tasteful and artistic, even sublime. Indeed, I think there are plenty of such ads. This ad for Irish peat briquettes, from 1986, is a fine example of a tasteful and artistic ad. I'm really complaining about the banality, bizarreness, garishness and bad taste of so many ads. But with a little bit of imagination, even the most mundane of products (like toothpaste) can be promoted in a way that is not banal. We often hear criticism of ads that promote a lifestyle rather than a product; but this seems all to the good to me. And Saturday morning to Sunday evening of sport: I don't have anything against sport per se, either. In fact, snobbery against sport is something I dislike. Sport is a part of life, and I admire writers like Louis Macneice who take it seriously. I had a lecturer who dismissed sport as 'form without content'. You could say the same thing about instrumental music, or about dance, or a thousand other things. I'm only really complaining about the hour upon hour upon hour of sports coverage which is broadcast at the weekend. I know people who can't talk about anything but sport! And playwrights write plays about nothing: Samuel Beckett seems to have been a good man in many ways-- he was generous with his money, for one thing, and he joined the resistance against the Nazis-- but his work seems like the epitome of modernist decadence to me. The idea of a play where "nothing happens, twice" is clever-- but it's just a clever idea. It's a lousy, boring play. In fact, the first performances of Waiting for Godot were not well received at all. It was only when people were told it was a classic that they fell into line. The problem isn't just that Beckett wrote the same play for the rest of his career. The problem is that so many plays (and movies, and books) are Waiting for Godot all over again. Once you have asserted the futility and emptiness of life, what is there left to say? And what a waste of time, energy, talent, and resources all around! How perverse it is that when a society (or a class) attains a level of comfort and leisure and sophistication, they should squander it on this sort of decadence. Only the idle and well-off can afford such nihilism. Picture a 13-year-old boy sitting in the living room of his family home doing his math assignment while wearing his Walkman headphones or watching MTV. He enjoys the liberties hard won over centuries by the alliance of philosophic genius and political heroism, consecrated by the blood of martyrs; he is provided with comfort and leisure by the most productive economy ever known to mankind; science has penetrated the secrets of nature in order to provide him with the marvelous, life-like electronic sound and image reproduction he is enjoying. And in what does progress culminate? A pubescent child whose body throbs with orgasmic rhythms; whose feelings are made articulate in hymns to the joys of onanism or the killing of parents; whose ambition is to win fame and wealth in imitating the drag queen who makes the music. In short, life is made into a non-stop, commercially pre-packaged masturbational fantasy. What a waste! What a horrible waste! In the museum there are interactive displays where once there were exhibits: I like old-fashioned museums with glass cases and serious labels written in reasonably-sized type (as opposed to billboard-size letters). I like their atmosphere as much as their contents. Their atmosphere seems respectful of their contents. Nobel laureates praise the lyrics of rappers: Seamus Heaney. Or so my father claims. Oh, man! Man! The heir of the ages! From Lord Alfred Tennyson's poem 'Locksley Hall': "I, the heir of all the ages, in the foremost files of time". The joy of the straight-faced urchin consumed in his game: People tend to be deadly serious about the things they enjoy the most. It's not a matter of seriousness vs. joy, or even seriousness vs. fun. Well, that's enough, I think-- though goodness knows I could enlarge on this subject a lot longer! Again, many thanks to those who commented, and who read this poem. I appreciate it, and hope I may be forgiven this indulgent commentary! A New Irish Catholic Blog! Almost a Quarter of a Million Pageviews! What Are the Greatest Poems of All Time?